Former President, Olusegun Obasanjo will lead a cast of prominent Nigerians from the private and public sectors to the Airtel Night of Influence, a high profile gathering of Nigeria’s best and the brightest, which will be headlined by CNN anchor, Fareed Zakaria on Sunday, November 18, 2012 in Lagos. Co-ordinating minister for the economy and minister of finance, Ngozi Okonjo-Iweala and the immediate past vice president of World Bank and a director of Bharti Airtel Group, Kathryn Obiageli Ezekwesili are among some pre-eminent Nigerians who have confirmed their attendance of the event. No fewer than six governors are expected at the event that would feature leading captains of industry and key players in governance, business, entertainment, education and other sectors of the economy. The Airtel Night of Influence is a high-octane networking platform provided by the leading telecommunications services provider for interaction and discourse on issues in the Nigerian and African political economy. It will hold on Sunday, November 18th, 2012 at the Eko Hotel and Suites in Victoria Island, Lagos. Zakaria, anchor of the political economy programme on CNN, GPS, has confirmed to speak on the theme: Africa’s Political Economy: The Challenge of Leadership. He will bring on hand rich insights into the continent’s economy and its interactions with the global socio-economic and political landscape. About 500 influential men and women drawn from both the private and public sectors within and outside Nigeria as well as top politicians and government officials will be attending the event. 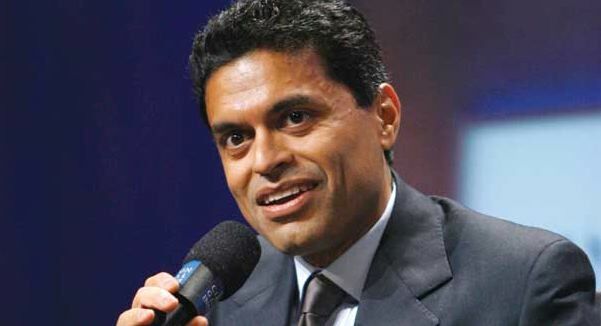 Fareed Rafiq Zakaria is an Indian-American journalist and author. From 2000 to 2010, he was a columnist for Newsweek and editor of Newsweek International. In 2010, he became editor-at-large of Time Magazine. He is the host of CNN’s Fareed Zakaria GPS. He is also a frequent commentator and author on issues related to international relations, trade and American foreign policy. That intresting news to here from our former president an our able finance minister, keep it up more grez to ur elbor.